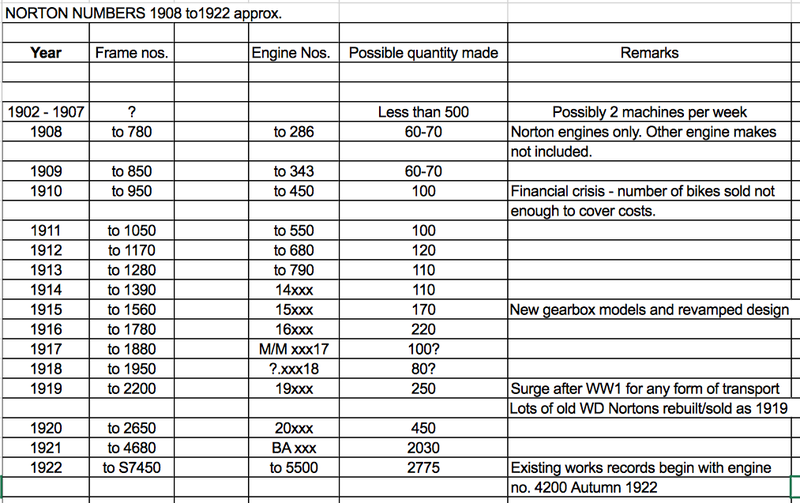 -SG- The existing Norton despatch books begin in 1922 with engine number 4200. 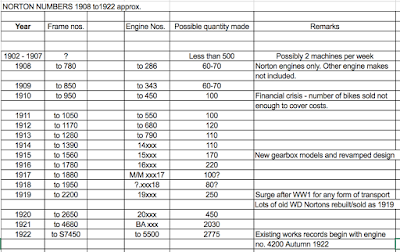 The frame number relating to this engine was 4297S and the bike (a 16H) was despatched in November. Due to Norton's rather strange numbering system, the next entry - 4201 - had frame number 7050S, and the one after that, 4210, had frame 6820S. At this distance in time, logical it's not! There has been considerable debate over the years as to engine and frame numbers used prior to 4200 and Mike has taken a particular interest in the earlier bikes for a very long time. He has collated date/number information along the way. This is now incorporated in a the chart above - for which thanks are due. He stresses that it is no more than a rough guide and any information to make it more accurate will be much appreciated. 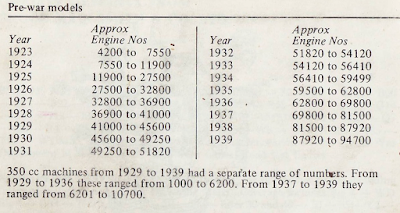 To be complete the 1923 to 1939 numbers are provided below. 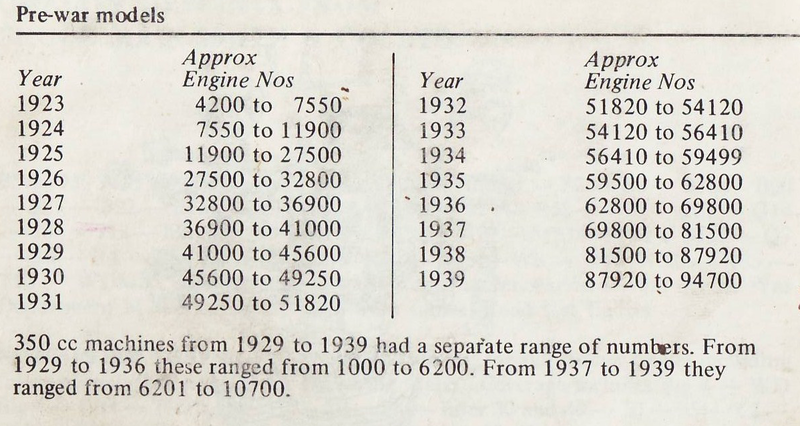 Also note there are 10.000 numbers missing as explained in this post.